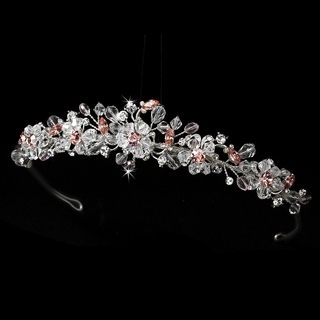 Sparkling pink and clear Swarovski crystals and twinkling rhinestones are nestled along the rim of this silver-plated tiara in a gorgeous floral design. The band ends in loops that allow you to easily fasten it into your hairstyle with bobby pins. 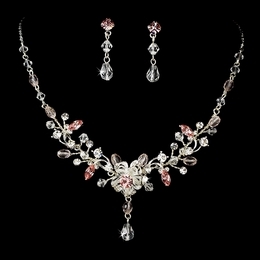 Size: The ornamented portion of the band measures approximately 8" long, while the floral spray design measures just over 1" tall at the center.